Although there are over 30 varieties of Clown Fish only two are orange! 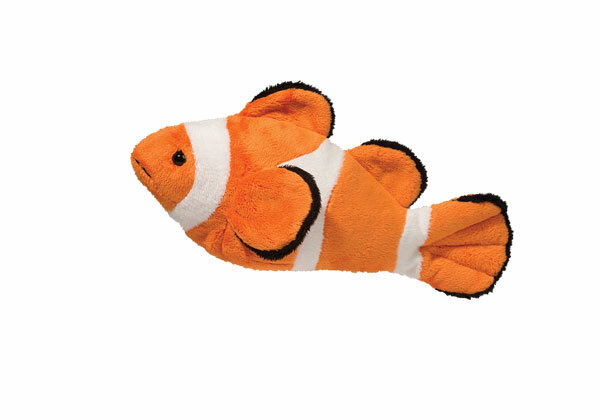 Clarabell the Clown Fish flaunts her bright, and amazingly soft, self as she should! Seriously cuddly and super sweet, Clarabell Clown Fish, along with her Blue Tang pal, are sure to swim their way into your heart! 10 inches long. Age: 24 months and up.